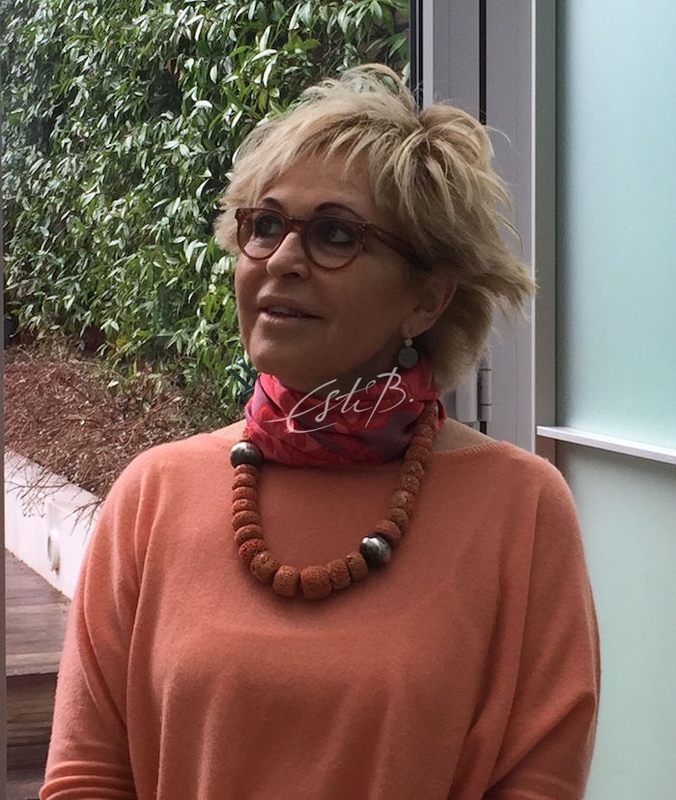 Protecting her intellectual property is something that Esti Barnes, founder of Topfloor, feels understandably passionate about. Here she talks about IP law, the work she puts into safeguarding her designs, and the effects on her and her business when the law is flouted. ‘Without intellectual property law there would be a lack of incentive to produce new ideas’. Do you agree with this statement? I agree with this 100% in theory, but in reality there is still a lack of incentive because IP law is not enforced as effectively as it could be. When I first started in this business I absolutely loved giving free rein to my creativity, but now I feel like I need to hold back. Why should I continue to produce new ideas if they are going to be copied the minute I release them? It’s like giving ammunition to the enemy. At least with IP law we have legal rights and can fight back, but it is expensive, time consuming and nerve-racking. What do you do to safeguard against intellectual property infringements? We register our designs and make this clear in every email, image, sample and catalogue we send out to our clients; we ask clients to sign non-disclosure agreements when we give them samples and catalogues; each email includes our copyright disclaimer; we protect our samples by only lending them for a short period of time; most of the designs on our website are password protected; and all our images are watermarked. However, while these steps are deterrents, they are by no means adequate to stop determined thieves. How difficult is it to pursue perpetrators? Is it always worth it? We have been to court twice – we won one case and recently settled the other out of court. There is now an Intellectual Property Enterprise Court for small claims in the UK, which works well and is not that expensive. Compensatory damages are awarded based on the amount perceived to have been lost in earnings; however, this is difficult to measure and doesn’t take into consideration the creative process, the time spent developing the product and so on. In the USA, it is possible to request punitive damages (as long as your product is registered there); if awarded, the amount can be much higher and – more importantly – a public example is set. Is it worth it? Yes and no. YES because it works as a deterrent and if we didn’t pursue them we would have less and less control over our intellectual property; and NO because it is not a productive way to spend our time and money. How do you implement your IP strategy worldwide? We register our designs in the UK, the USA and Europe, which are the regions in which we generally encounter the most problems. 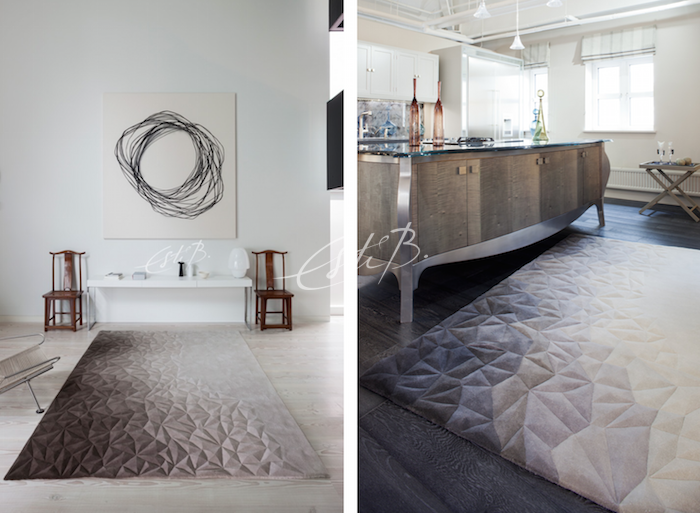 Having said that, we have a new case in Asia – the design company that communicated with us on pricing, images and specs got two large rugs in our ‘Esquire’ design made for a hotel, by another company. We are trying to establish who the rugs were made by; once we know that, we will take action. There is an important difference between copycats (people who steal your design and make their own version with their own branding) and counterfeiters (people selling an inferior copy as if it were an original) – have you encountered both? Our main worry is copycats who operate at our level, at the high end of the market. We are less worried about counterfeits, which are generally sold at the lower end of the market. That said, if we saw it happen, we would act in the same way. What concerns us most is when somebody takes a design from us (often by way of a sample) and gets a copy made elsewhere. We have encountered this many times. 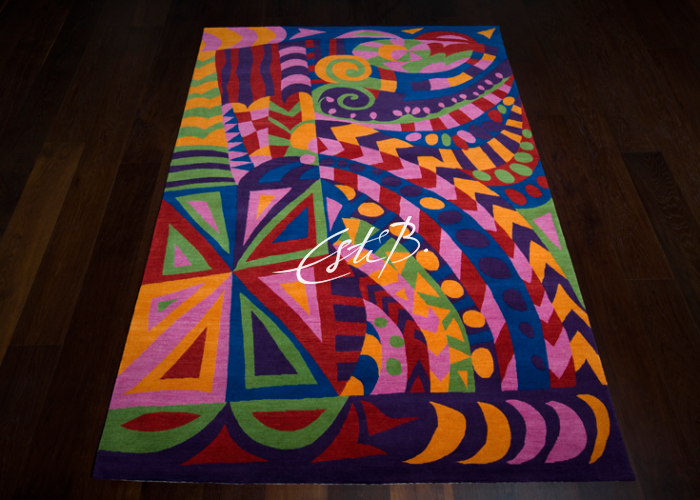 There was even a situation in which a client asked us to describe how we make one of our very tricky rugs so she could pass the information on to another company. 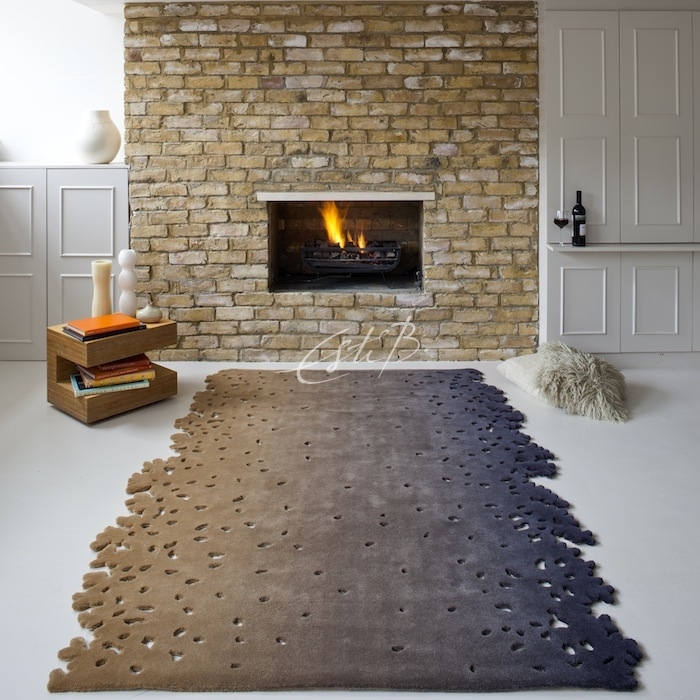 On another occasion, a UK carpet company was using our photographs of our rugs on their website. This represented two breaches of IP law: stealing the rights to our photographs and the rights to our designs. Copycat designs are rife in the fashion world – but we all know that we get what we pay for, and original designer creations appeal to a very different market to the cheaper imitations. Doesn’t the same apply to your industry? Thankfully, there are some people who will not settle for anything other than an original and others who, on principle, refuse to buy copies. But unfortunately, after the last decade’s big recession, we are seeing a trend towards the ‘less expensive’. Even a small difference in price can be enough to convince people to accept a copy. In some cases, rug companies undercut our price just to make the sale and add another client to their database. Designers ask us to replicate other companies’ designs on a regular basis – we always refuse and show them our design alternatives. Sometimes it works – they respect our ethical approach and go with our proposed design. If we all did the same, everybody would win. IP infringements threaten legitimate businesses, and we shouldn’t be punished for choosing to have no part in it. So you definitely don’t agree that imitation is the sincerest form of flattery! Absolutely not! It is the easiest and the most dishonest way of making money. We are all influenced by those we come into contact with, and by the trends of the moment. Can we ever be truly original? Inspiration is the key to good design and it is the antithesis of copying. Without inspiration, good design doesn’t exist – if followed through properly, it can lead to a beautiful, authentic design. Following trends, on the other hand, is a choice. One can produce original products by following trends or simply by following one’s heart – this has nothing to do with copying. In all cases, we can be original if we follow an honest path. Has the internet, with its culture of sharing, made it harder to protect your intellectual property? Yes, the internet has played a big role in the corruption of IP rights. Original products have become easily accessible to a much wider audience. For example, we are not on Pinterest but I understand from the messages I get that most of our designs are there. Mobile phones have better and better quality cameras, which are used without permission to photograph designs at trade shows and even in our showroom. We have a large ‘no photography’ sign on the ‘Esquire Evolution’ rug on display and I still sometimes catch people taking a picture of it. How do IP rights work when others are involved in your designs – for example, calligrapher Hassan Massoudy, who collaborated with you for the SCRIPT collection? 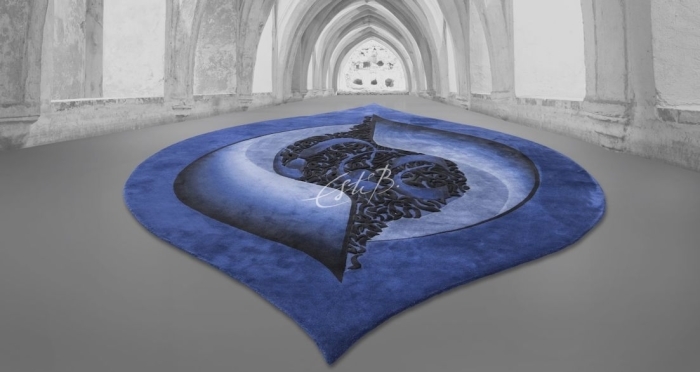 Hassan Massoudy owns the IP rights to his artworks; we own the IP rights to our rug designs. There is a very clear line there but we, at Topfloor, will vigorously protect the IP rights of both parties’ works. 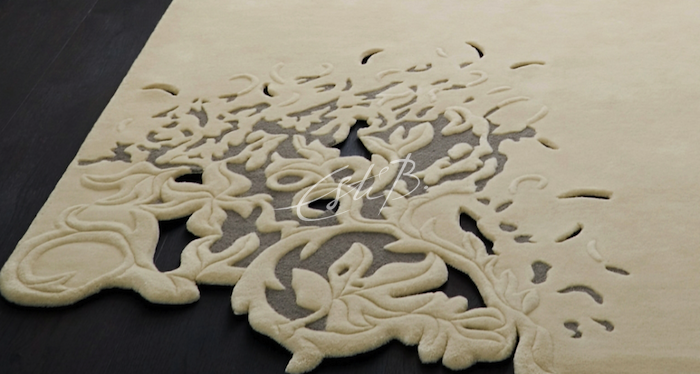 Topfloor rugs are the result of a creative vision and many months of craftsmanship. For them to look their best they need to be chosen in the context of your overall scheme – including the flooring – with colour, texture, material and pattern all requiring careful consideration. 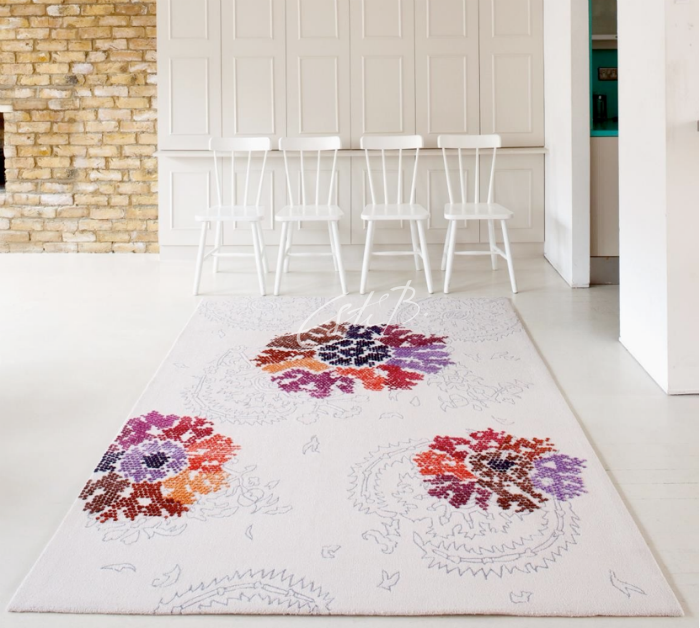 With such a wealth of choice, both in terms of rug design and flooring, there are no hard-and-fast rules for pairing the two, but here are some pointers that might help you in your selection process. In the case of a new-build project or complete refurbishment, the designer or architect may well have the luxury of being able to choose the flooring and rug at the same time. That’s one of the reasons we set up our wood flooring studio. More often than not, you will be designing your scheme around an existing floor. If you (and your client) can cope with the disruption, wood floors can be sanded down and refinished so that they work better with the new design – there’s an almost limitless choice of colours and finishes these days. If this isn’t an option, the colour, grain, format and finish of your floor will need to be factored into your rug choice. The colour and style of your flooring can change the mood of a room, with light floors providing a contemporary feel and darker floors providing warmth or drama. 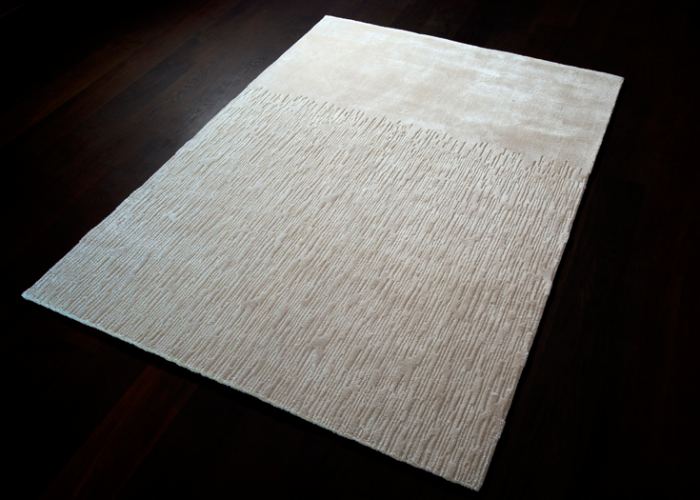 Here, the white Princess Gehver rug from our Ottomania collection blends with the floor, creating a light, summery look. 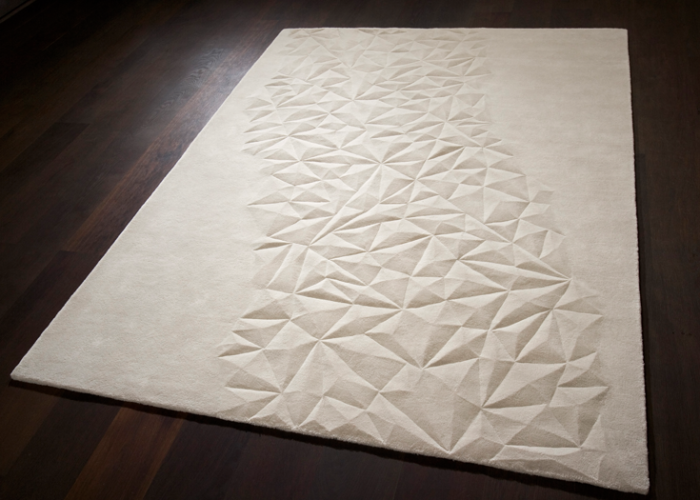 Rugs that showcase Topfloor’s signature colour-gradation technique are particularly versatile. 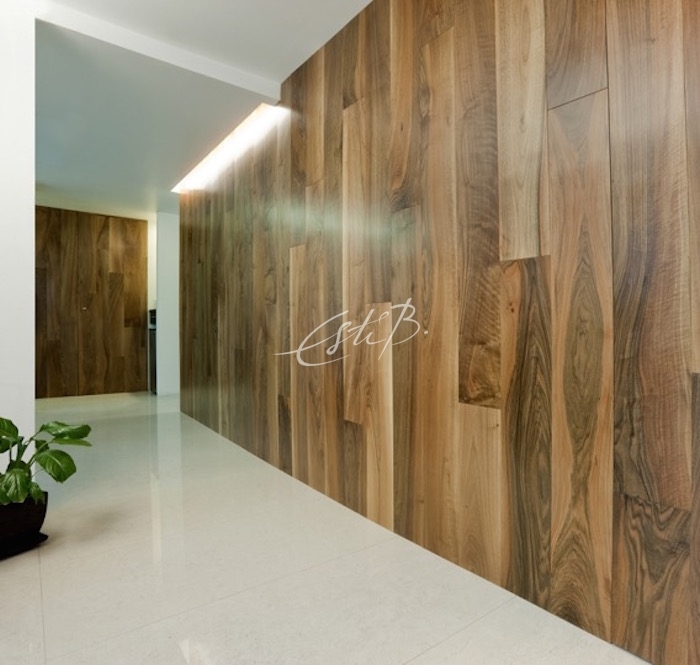 Esquire Evolution looks equally stunning on both dark and light floors, but the overall effect is quite different. The more neutral your floor is, the more freedom you have with your rug choice. A ‘quiet’ floor with minimal tonal variations will allow a colourful, highly patterned statement piece to take centre stage. There has been a resurgence of interest in classic French parquet designs recently. 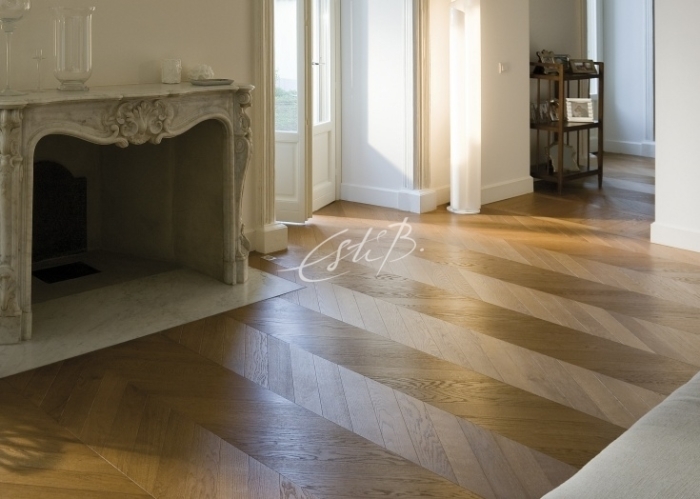 A beautiful oak floor like the one below, with its traditional chevron pattern and the striped effect created by the play of the light, deserves to be the star of the show. 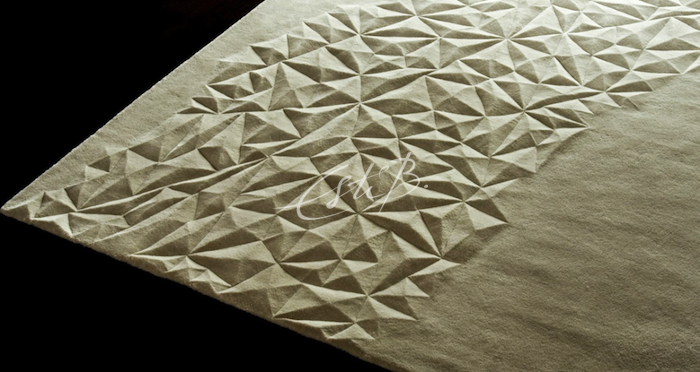 Size is also important when buying or specifying rugs for your rooms. The statement piece needs to be identified as the flooring, the furniture or the rug. If you’d like the floor to be the focal point, consider either a plain rug with lots of texture, or one of our 3D designs on a smaller scale. If the rug is going to be the centre piece, choose a large piece that reaches out towards the edges of the room, with your carefully selected wood floor acting as a ‘frame’ around it. We hope our advice has helped to clarify how to make the most of these two important elements of your room design. For more inspiration, please visit our website. For sales enquiries or advice on choosing complementary flooring and rugs for your project, contact us here.